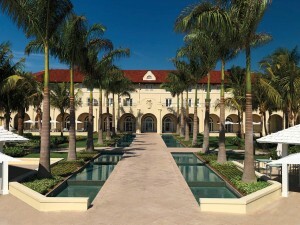 SoundWave has been involved with weddings in Key West and the Florida Keys for over twenty years, as well as some of the Keys most venerable wedding planners and vendors. We have gathered some of their kind words on these pages. If you would like to be featured here, please Contact Us. Thank you. SoundWave is awesome! Jim Cooper DJ'ed our wedding and he was fantastic. It is obvious he has been doing this a long time and that he enjoys his job. Jim is super professional, fun, and an all-around nice guy. I don't think our wedding guests ever stopped dancing! We highly recommend SoundWave. Thanks for everything Jim! Jim and Joanna Cooper are absolutely amazing! 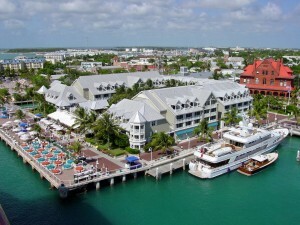 My husband and I used them for our DJ and video services for our Key West wedding at the Pier House. Jim was incredibly thorough, being sure to keep in mind everything that was so musically important to us. I'm so Type A, and had a list of music that I wanted for dinner and dancing. Jim was wonderful and understanding and made sure to play everything that was an absolute must. During the reception, Jim read the crowd well, and played music that suited everyone. The dance floor was always full, and everyone had a blast, most of all our four year old son. Jim played all his favorites. Joanna was so sweet. My husband and I are very private people (part of the reason for a small, intimate wedding in Key West), and at no point during filming did we ever feel like our space was being invaded. Most of the time we weren't even aware that Joanna was there filming us, which made our wedding highlight video that much more incredible. When we watched it we were both in tears. It felt real and not staged at all. She was there to capture the happiest day of our lives, and that's exactly what she did. The editing, music selection, and literally every frame made us feel like we were back to that day. I was amazed at how quickly we received our highlight video back as well. It only took about three and a half weeks to receive this. I would highly recommend anyone looking for video and DJ services to contact Soundwave. We had booked SoundWave for our DJ and videographer. Jim was the perfect DJ! He played all of the music we requested and at the perfect times. SO easy to work with. He was energetic and exactly what we were looking for in a DJ. A videographer was the last thing in our budget so we did not want to spend $4,000 on a video. I basically told Joanna that I just wanted a video to be able to look back at the ceremony and reception speeches/dances. I even said that I didn't need to have a fancy edited video just something to watch later....I got WAY more than I asked for. It was worth every penny and the best money we spent. I was speechless when they sent us the sneak peek video and I am so excited to see the full version!! Joanna went above and beyond and I just couldn't thank them enough for making our day so special and now we will forever have these memories to watch on repeat for the rest of our lives! If you are on the fence about booking a videographer...you should definitely book Joanna, you will not be disappointed in the slightest.